The protection of natural resources, especially water among the various ecosystems, is a key topic linked to migration all over the world considering the current context of accelerated destruction, depredation and environmental pollution that endangers all the life forms of the planet; making it one of the most important causes of migrations. The United Nations Refugee Agency, ACNUR (in spanish) estimates that between 250 and 1,000 million people worldwide will lose their homes or be forced to move out of their territory or even the country in the next 50 years. In Latin America, the hard determination to stay or emigrate is a dilemma faced by more and more people. Bilateral and Regional cooperation with the Regional Conference on Migration. Under the North-South dispute of the colonizing framework, concentrator of wealth and environmental predator of the neoliberal economic model, relies the main factor of climate change since it does not recognize the Mother Nature´s Rights and the Planet´s Rights, which affects directly in the accelerated process of global migration. To date, the necessary actions to reduce climate change at a global level have not been carried out, mainly due to the opposition of the main countries causing climate change while being the main energy consumers in the world, such as the USA, China and Japan. Under this scenario, the forced migration caused by the impact of natural destructive hazards is very likely to scale up; particularly in coastal and high temperature zones of underdeveloped countries that might become deserts. Climate change migration occurs in the context of the development model emerged from the capitalist system. On the one hand, this model enables states and transnational corporations to overexploit natural resources degrading the environment and forcing people and families to emigrate. Megaprojects approved by governments, which use basic soil resources and destroy local fauna and flora (such as large-scale mining projects and hydroelectric dams), are clear examples of this process. As a product of climate change, therefore, different parts of the planet are becoming population expelling places due to the growing scarcity of regular supplies of food and water, as well as the increase in the frequency and severity of floods and storms or, in the contrary, of desertification and drought. On the other hand, the capitalist development model is benefited by the overexploitation of migrant labor force. Although this situation of overexploitation is shared by economic migrants, those whom we consider as “climatic migrants” are a product of the degradation of the planet that forces them to look for other places to live. Among the main environmental causes that determine migration are: climate change (desertification, deforestation, land degradation, water or flood contamination, hurricanes) and natural phenomena not attributable to climate change (eruptions of volcanoes, earthquakes) and disasters generated by man (industrial accidents, radioactivity, among others). Both situations imply violations of the human rights of migrants and the worsening of inequality and impoverishment, especially in the countries of the south, whose inhabitants are forced to move having dramatic impacts on their environment as well as in the places of arrival, and so closing a perverse circle of vulnerability of rights. First, the right of people and of villages not to migrate and to stay in their territory is being violated since the degradation of their territories is generating depopulation, particularly of rural communities, in which occasionally only the elderly remain.  Second, in the cities, those who emigrated occupy positions with low wages and in conditions of exploitation, violating their rights to decent work, aggravating poverty levels and, therefore, preventing access to other basic rights such as housing, health and education. Occasionally, this is driven by human trafficking networks that reduce them to merchandise status. Third, through the militarization of borders and the criminalization of migrants, mistreatment is institutionalized and high levels of discrimination are generated, which finally constitutes another obstacle to access all their rights. Fourth and last, the model of capitalist development that is forcing people to emigrate from their places due to climatic causes violates the basic right to free mobility. For all the above, the WSMF must fight for an alternative form of socio-environmental geo or ecocentric development centered on a society-nature system, instead of the form of anthropocentric development that is leading the planet to a great environmental and civil disaster. If the environmental dimension of migrations does not include a priority importance directly linked to the poverty of the most vulnerable people who are farmers and indigenous people, migratory displacement will continue to increase. The socio-environmental resistance must be territorial and interterritorial in each space in defense of water, territory and cultures, to reduce migration and improve the quality of life. The WSFM is an autonomous organizational space of self-managed governance in networks of networks to revert the current neoliberal model from the organized peoples in defense of their natural assets and cultures in each space and between them.